The World Wide Web Consortium, or W3C as they are more commonly known, define themselves as “an international community that develops open standards to ensure the long-term growth of the Web”. What this effectively means is the W3C develop the standards and protocols to make the world wide web easy for everyone to use and interact with. 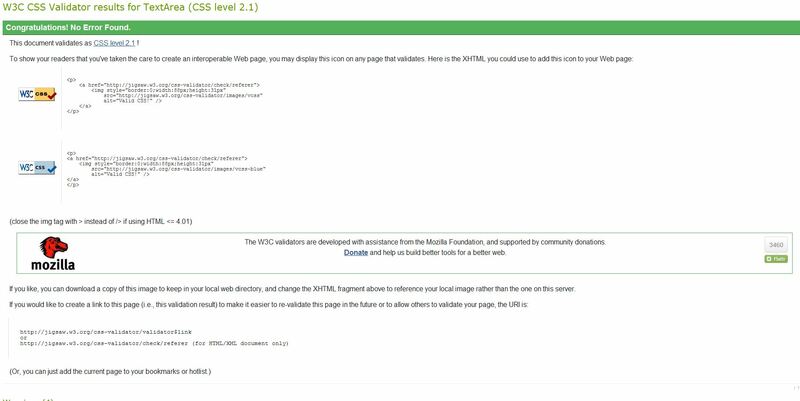 By setting these standards the W3C are one step closer to achieving their two main goals – Web For All and Web On Everything. The web for all is, well, as it sounds. The idea behind this initiative is that everybody should be able to access and interact with websites regardless of location, nationality or ability. The biggest part of this initiative is the Web Accessibility Initiative (WAI) which aims to provide solutions and best practices for designing websites that are considered accessible to people with disabilities. The second biggest challenge is to make the internet equally accessible on all devices. Many of these devices we already consider, such as smartphones and tablets, but less obvious ones include television and even cars! The more devices that can access and interact with your website the bigger your potential market becomes. When designing a website you should always try to adhere to set standards as defined by the World Wide Web Consortium (W3C). This is essentially so that any website can be accessed by any browser, such as Internet Explorer, and give the results if the site was viewed on Google Chrome or Firefox. Without set standards web designers would have to code websites for different browsers which ultimately leads to conflicts between browsers and their users. I’m sure many designers still remember the “browser wars” of the 90s. Also by adhering to W3C standards your website is usually SEO friendly as most search engines take code into account when ranking them. It is equally important for CSS to validate against standards as this defines the layout and and visual aesthetics of a website, and if your CSS doesn’t comply to standards then your site may not present in the way it is expected to! The two current standards commonly used in website design are XHTML 1.0 ‘Strict’ (although this is gradually being replaced with HTML5) and CSS 2.1 (also being replaced with CSS3). The W3c provides tools to validate both of these standards. To validate XHTML use http://validator.w3.org and to validate CSS use http://jigsaw.w3.org/css-validator. JCH Web offer Web Design services compliant with W3C standards in Lancashire & North Yorkshire.